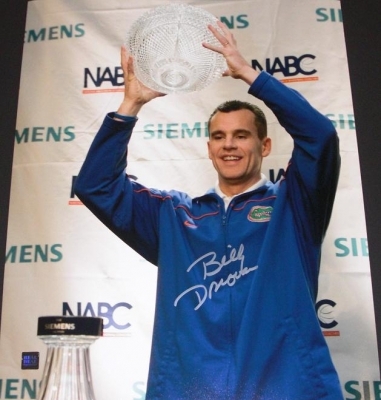 2005-2007 Florida Gators Back to Back National Championship coach has personally hand signed this 16x20 photo with a Silver sharpie pen. This item comes with a The REAL DEAL Memorabilia Certificate of Authenticity (COA), and matching authenticity Holograms on the item and the Certificate. Get THE REAL DEAL!